Our digital world requires every real estate professional to not just have a website, but a great website that stands out from the millions of other realtors and personal sellers that you’re competing against. Even for realtors who only work within a small region, a high-quality website is the best way to stand out. However, this isn’t just about looks—keeping your website current and writing detailed listings descriptions, for example, are also important, ensuring that potential clients can access all the important information. Those refusing to acknowledge the industry-wide shift to digital risk getting left behind, and you don’t want to be one of those people. Here are five ways to make your real estate website stand out. As a real estate agent, keeping your website up-to-date is critical. Potential buyers will be looking for listings on your website, and leaving photos and descriptions of homes that have already been sold could frustrate potential buyers and negatively effect your customer base. If you use WordPress, you can add Plugins that do this for you. For example, Easy Property Listings is rated 4.8 out of 5 stars and can be added to your website with one click. Content marketing has evolved in response to consumer demand for personal relationships and product researching. People want you to engage with them, help them or add value to their lives in some way. If you have a blog and are able to produce content regularly, make it a priority. Your potential customers won’t be the only ones who appreciate it: Google favors websites that are consistently publishing fresh content. According to Inman, 51 percent of traffic to real estate websites comes from organic searches. If you don’t have any content on your page other than a bio, your website is likely invisible to Google and therefore potential clients. 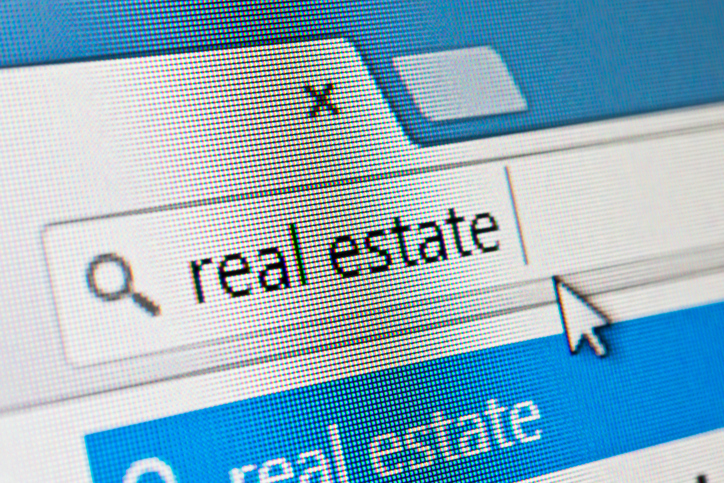 For example, if a potential buyer is searching for real estate and you have a lot of real-estate related content on your website, you may be one of the first links they see in search, which is important: on average, the #1 link on Google gets almost 30 percent of all click through traffic for that search term. Luckily, you don’t need to spend a lot of time creating content. Set one day every month aside for writing. 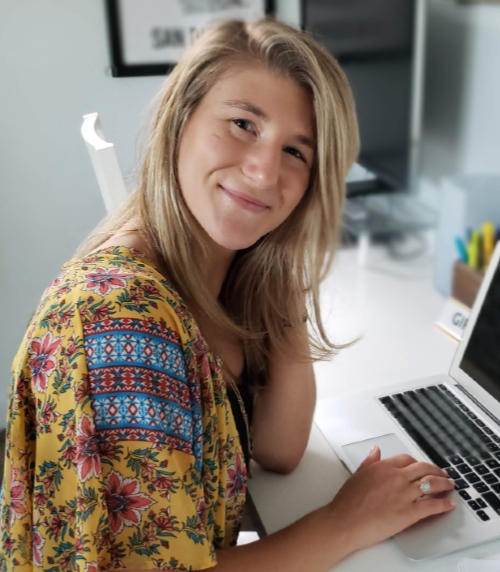 Spend a few hours of that day creating blog posts about topics relevant to your business, including tips for buyers and sellers, home inspection advice, professional insights and more. Use the scheduling feature of your blog to schedule the articles to go live throughout the month. Set it, forget it, and reap all the benefits. Your agency has likely already established a brand, and it’s important that it transfers over onto your website. This is especially important if your business is more known by its logo or other “brand-related” details; when they find your site, you want to make sure they know it’s yours. To keep this consistent, create a simple style guide for your business and website. Include major colors, variations of your logo and taglines. This makes it easy to ensure consistency from page to page on your website and throughout your social platforms as well. The real estate industry is a visual business, so it makes sense that having high-quality photos of your listings is extremely important. By spending a little extra time and money, you can produce beautiful images that may ultimately be the deciding factor for a buyer. One way to take this a step further is invest in video or drone footage. This gives you a chance to show off your region and areas where you sell a lot of homes. "We thought we’re selling an experience, we’re selling a dream and we’re selling a beautiful lakefront mountain resort; so we decided to do drone video,” says Paul Moore of Smith Mountain Homes. His homepage opens with beautiful views of the lake from above, which is immediately engaging and interesting to every visitor. When potential buyers are viewing listings on your website, they want to know everything they can about the home. Instead of providing a link to Google Maps, where they can see the area and determine nearby schools, landscape and stores, give them the information yourself. Do your research, and list major landmarks near those properties, such as schools, restaurants, grocery stores, traffic patterns and any other qualifying factors. With these details, you’re not only keeping potential clients on your website longer, but you’re proving your value before you even get a chance to work together. Sometimes the smallest details make the greatest difference. Consider how you can use these tips to make your website stand out.